Thank you for choosing Dr. Nicole M. Paxson, D.D.S., for your family’s dental health care needs. We’re pleased to welcome you to our practice where we provide services in a relaxing and nurturing environment. Families throughout the Great Lakes Bay Region communities of Saginaw, Bay, and Midland counties trust us for general dentistry services including professional cleanings, 6-month check-ups, fillings, crowns, tooth replacement, and treatments for oral health concerns. We invite you to explore this website to learn more about how we can help you achieve your best possible oral health. We want to help our patients learn about their dentistry options. 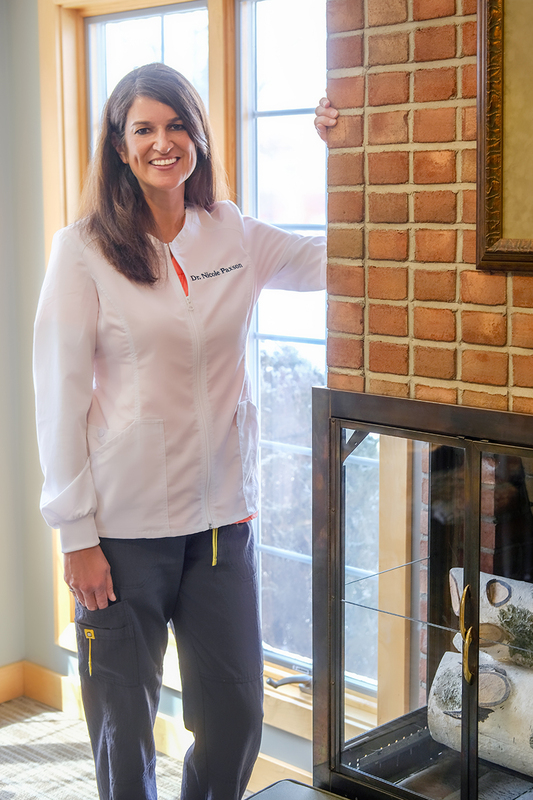 Our dental hygienists have the knowledge and experience to offer you individualized options to improve your oral health and hygiene. When we have a concern with your health or are answering your questions, we take the time to make sure you understand all your treatment options. You can trust our facilities and equipment to keep you safe. We rely on state-of-the-art sterilization and sanitation techniques. We provide the latest technology which includes intra-oral pictures, video exams, and digital x-rays, so you can see the area of concern and make an educated decision about your treatment options. If questions or concerns come up between visits, please contact our office. We often can answer your questions over the phone. If we think a visit is necessary, we’re happy to schedule an appointment for you. Dr. Paxson also stays in contact with regional health-care providers so we can confidently refer you to specialists when you need a different level of care than we can provide.